We're still waiting on many of the futuristic technologies from Back to the Future: Part II. We don't have Marty's hoverboard, Doc's electronic technology that puts you to sleep, or the government's total weather control. 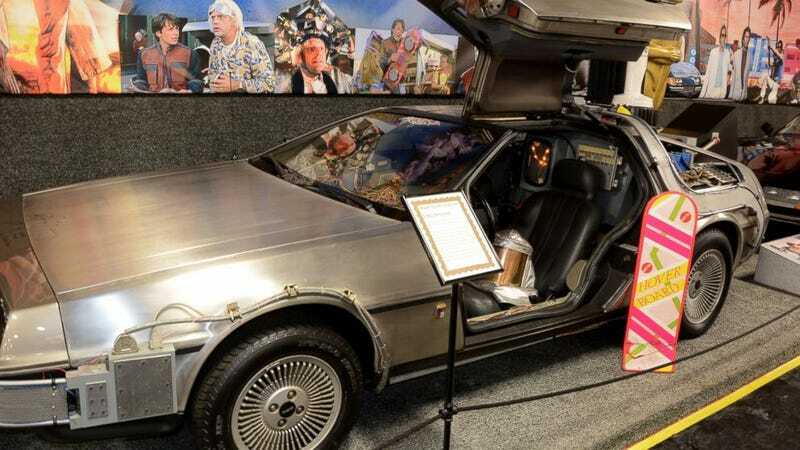 But you might have a chance to win Doc Brown's DeLorean — provided the Cubs win the World Series. In the 1989 film, the Cubs win the World Series in their alternate version of the year 2015. So to celebrate, the Volo Auto Museum in Illinois is putting up their 1981 replica Back to the Future-style DeLorean for some lucky person to win. The museum estimates that the car is worth about $85,000. "The car is fully functional. It's a running and driving car," Volo museum director Brian Grams told ABC News. "Though we don't guarantee time travel with the car, its flux capacitor and other board lights light up just like the movie's car." Visitors to the museum will get a wristband with instructions on how to register for the sweepstakes, but if you can't make it in person you can send a self-addressed stamped envelope to the museum. Registrations start this Saturday, March 21st. It's not just because of "Back to the Future 2," when the Cubs were a 100-1 shot, and Marty McFly got the idea to go back in time and bet on sports results for which he already knew the outcome. In reality, the Cubs are much better than a 100-1 shot. At 12-1, they are tied with the Tigers as the bettors' fifth choice behind the Dodgers, Red Sox, Angels and Nationals. Maybe don't hold your breath. But registering for the sweepstakes certainly couldn't hurt. The consolation prize if the Cubs don't take it all? The museum will be giving away its replica hoverboard.